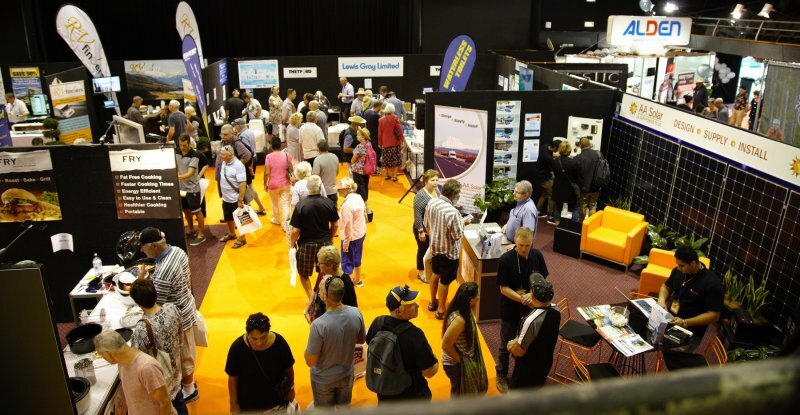 Record sales at last month’s Covi SuperShow, the largest motorhome and caravan expo in New Zealand, is a clear indication the RV lifestyle is booming in New Zealand. This year’s Covi SuperShow was the biggest motorhome and caravan show ever held in New Zealand attracting almost 19,000 visitors that flocked to the ASB Showgrounds in Auckland. A feature of this year’s Covi Supershow was a $63,000 Bailey Pegasus caravan going under the hammer for no reserve. Warwick Jones and Gerarda Peeters from Hamilton were the lucky winners of auction after some fierce bidding. TrailLite Marketing Manager Ashlee Rose said it was great to see so many visitors coming to the show that were really well researched and enthusiastic about the motorhome lifestyle. New Covi NZMCA Insurance Manager Matt Spiller was attending his first show, and was more than happy Covi were so invested in the event as its naming rights sponsor. Show visitors had the opportunity to win back $10,000 on purchases worth over $30,000 and for the third year RV SuperCentre sponsored an outstanding Gate Prize, a four-week motorhome holiday in the UK and Europe that was won by a very happy Lynn Massie of Muriwai.